Glad to hear some progress on it. I'm still playing the episode in WT solely because of the weapon and enemies. Just checked it on my and mine friends' PC, the scripts work flawlessly, everything works just great, goddamn it's such a good change from the GBX's port. Good to know it's not only working for me. Glad it's useful for others, too! I had no idea about batch programming at all before this, and even though it's probably not a big deal, it took me several hours to get it working the way I wanted. The best thing is it's very easy to update it in the future. If new stopgap files get released with better WT support, you can just replace the cons/defs in the "worldtour" folder. You don't have to run the script again. That would only be necessary if World Tour files change. Then I would also provide new scripts, of course. I do some batch files programming on my old laptops from time to time to make old games up and running, but figuring out what needs to be copied and replaced in World Tour is quite a feat, those scripts are a godsend. Already freed my hard drive from that GBX bloat. You're the man, NightFright (and Hendricks!). Should Gearbox decide to update any files in World Tour, you would need to reinstall the game to create a new zipfile, though. Provided you want the changes. That's the only catch. The patch script release has received a minor update. Besides the script header looking nicer, I decided to restore e32wt.con file name (formerly named eduke.con) and let a new/different eduke.con load e32wt.con instead. This way, it'll be easier in the future to just update to newer stopgap files since you won't have to rename any file, just overwrite existing ones. Just for shits and giggles, I would be interested in a high level overview of what you had to do, to get that weapon working in eduke32. Thanks Hendricks, because the original 20th doesn't work on Windows XP, unlike eduke, which does. I'm just curious how bad they fucked up that's all . Consider it morbid curiosity. I think that is how we feel about the entirety of World Tour. Load this in a custom con instead of e32wt.con and all Incinerator (+ ammo) pickups and Firefly enemies will be removed from the maps before you can see them. It's like they had never been there. Of course, this is only a workaround solution until we have support for these. 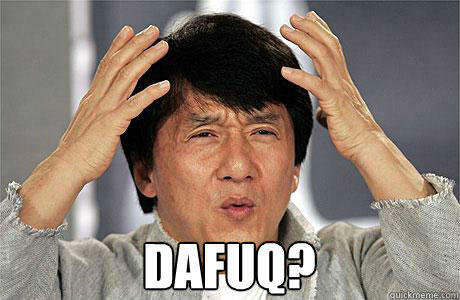 I remember when I finally reach the boss section of E5L7 and saw the boss, then I were like... "WTF?" I'm pretty sure they decided that's enough and never had second thought about it. Kinda hoped they'd go and re-use the RotT flametraps or that weird rotating shield thing to spice things up just a little, but nooo why bother, it's just a current gen console rerelease with extra bone thrown to old fans. Btw while trying the stopgap, did any of you also have the issue that some of the new Duketalk in ep.5 won't trigger all the time? Example: In E5L1, when you activate/use the weed pipe, the "That's some good... coffee" line won't trigger most of the time. The sounds work for me. I even had a save state at the yellow lock and tested that line, it worked 5/5 times. What's the progress on getting the few new things coded in to work with Eduke32? I kinda thought Fox was on it, but re-reading his "Da Fuq" post it appears he was just making a comment about gearboxs code. Is anyone working on code for either the incernator, firefly or boss5? I should be working on the Incinerator... but I am not so enthusiastic about it. A couple of normal maps were overlooked. Simple fixes that I will handle when there is enough to warrant a new version. This may require some stuff on the EDuke32 side to implement to my specifications (stuff that is also needed for the 64/TM mods), though I haven't looked at the endofgame command's internal operations to be sure. See above. Fox stepped up to the plate though he shares my lack of enthusiasm. For the cleanest implementation, it would require a way to add new weapon slots from CONs, which is also desirable for Duke 64. More stuff on the to-do list. I'm not interested in reverse engineering these, and I won't accept sloppy attempts into my package either. This should be trivial, but I need a list of all objects that require implementation. I haven't added the Armor box to the classic mini-hud. I just need to spend the time to make a statusbar.con.sample like the weapons.con.sample I made. Adding the armor box to that will be trivial. I also noticed that the ammo counts are centered in the WT full statusbar, so I can't get away with just reproducing the mini-HUD. Can we have the Incinerator (when it's done), for use with the old Duke Nukem 3D Atomic Edition? You would need the CONs and art from World Tour. Now that you've mentioned - yes, this sound fails to trigger most of the time. I completely forgot about this line (heard it only once, when I was playing Ep.5 for the first time), called my friend and he said the same - this particular soundbite doesn't trigger at all (he didn't even know it was here - he's stuck with old laptop with XP, so the compatibility stopgap is the only way he can play AWO - heard it only in a gameplay video on YT). Sorry for forgetting to mention that. Rest of the Duke's lines work fine (at least in next two levels). There's another thing, but I'm not sure how and why it happens - sometimes when fireflies get shot (? ), they are for a short moment surrounded by glitched black mess, like the transparent part of the sprite was glitching. If anything, this would be a bug in EDuke32, not in the Stopgap. Still a bug. It seems World Tour comes with several PDB files, which would come in handy if you're using IDA Pro. Load them, and use Hex-Rays to generate some pseudocode complete with function and variable names. EDIT: Holy god, what a spaghettified mess this is. Tried disassembling it myself, and the code is nearly indecipherable. Some kind of obfuscation being used? Someone should help me. I use a laptop with Intel HD graphics and 64 Mb dedicated video memory, but even with this system, I can run polymer fine and dandy. Meanwhile the DNWT renderer is lagging like hell, and I don't know the reason. If I shrink the screen size, it's a little bit better, but still unplayable on the long run due to lags. Since I heard many opinions that Polymer is more demanding, then the Gearbox renderer, I want a solution, why it's the opposite for me. Btw. as much as I love this port, I pass until the fireflies and the incinerator work properly. For me, the incinerator is a great addition to the arsenal, I loved using it on Pigs and Enforcers, and other organic enemies too. Fireflies need more polishing, but their addition is fine to me as well, they however got somewhat abandoned after High Times. They look almost like an exclusive enemy to that level. I've read that already, but Polymer still works for me, and it's as demanding as this new renderer.